The third wave of democratization approaches its 40th anniversary in Latin America in 2018. The process started with the Ecuadorian Constitution of 1978, promulgated after the withdrawal of the military power in the previous year. Like Ecuador, most Latin American countries opted for a presidential system of government in their new journey for consolidation of a democratic political regime. From the late 1970s to the late 1980s, comparativists wrote extensively on the contrast between presidential and parliamentary systems, rushing to conclusions and predictions about the undesirable institutional choices of Latin American democracies. In the search for predictions, assumptions were taken as evidence and black boxes remained intact, undermining our ability to understand the real differences and similarities between systems of government, particularly among presidential systems. The different criteria suggested by the literature of the 1980s and 1990s for the definition of presidential and parliamentary systems are well known. However, it is worth mentioning one aspect of it here developed by Arend Lijphart and sustained by Giovanni Sartori. For these authors, the executive power in presidential systems has a sole character: being the head of government and the head of the state, the president would be the only relevant actor in the executive decision-making process in these systems. The idea is that the president derives a dominant role in the executive decision-making process from its discretionary powers of selection and ministerial removal, in a context in which his/her tenure is independent from parliamentary confidence. The premise suggested by Lijphart, taken for granted by scholars of systems of government, is that the vertical nature of presidential cabinets contrasts with the horizontal character of most parliamentary cabinets (i.e., primus inter pares cabinets in Sartori’s definition). In a recent article published in the Brazilian Political Science Review, we challenge the studies mentioned above, arguing that the assumption of a vertical executive decision-making process in presidential systems underrates variations that may exist regarding the degree of dominance exercised by the chief executive over cabinets. Although conventionally characterized as a non-collegial decision-making process, led by the president, we reveal that the sole executive of presidential systems is not a distinctive feature of this system of government. Instead of analyzing the process of executive decision-making in parliamentary and presidential democracies dichotomously—based on collegial and non-collegial processes, respectively—we should, as suggested by Vercesi (2012) evaluate the possibility that the power sharing of the executive decision-making process systems varies continuously across systems of government. Building on this idea, our study develops an index to help scholars analyze how powerful the president is vis-à-vis cabinet members, according to specific constitutional rules that verticalize or horizontalize the executive decision-making process in presidential democracies. More precisely, we created a summation index of codified constitutional rules regarding executive powers raging from 0 to 5, with a value of 0 indicating the absence of presidential dominance over cabinets, and the value of 5 indicating the absolute dominance of the president over cabinets. As we can see in Figure 1, our index reveals significant variation of presidential dominance over cabinets in Latin America presidential constitutions. We inferred at least three clear standards. Presidential democracies can have: a decentralized (e.g. Bolivia, Argentina and Uruguay), a shared (e.g. Chile, Colombia and Costa Rica), or a centralized (e.g. Brazil, Mexico and Panama) executive decision-making process. 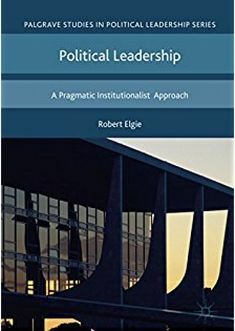 In sum, the executive decision-making processes in presidential systems are not necessarily vertical, and the presidential powers over ministers are not necessarily unrestricted or unbounded. These results have important implications for the literature on comparative politics comparing systems of government. First, our study strengthens the argument suggested by Elgie (1997) that the power sharing within executive decision-making processes should be evaluated empirically and not assumed by scholars. Our results for Latin America reveal that, regarding executive decision-making process, there are more similarities between different systems of governments than conventionally assumed by the literature. In another study, by analyzing more than 50 countries we also show that the degree of dominance of the chief executive in presidential and parliamentary democracies can be very similar. Second, our study reveals that the costs of presidential decision-making may vary depending on other factors such as institutional rules that restrict the “selection” or “removal” of ministers, a dimension not systematically explored in the literature yet. A more careful analysis of this topic could explore, for example, how ministerial survival rates can be affected by constitutional rules that determine the distribution of authority among the members of the cabinet. Third, our findings can lead to exploration of new topics such as ministers as veto players in presidential systems. In contexts where the president depends on the consent of ministers to be able to propose policies, the stability of the coalition might depend on the chief executive considering the preferences of the parties of different ministers. We could ask, for example, how pivotal are minister’s parties in maintaining the presidential coalition in the legislature. Fourth, given that the distribution of resources for policy-making in the cabinet is directly related to the degree of influence the parties can exert on the composition of the coalition, our results encourage scholars to investigate what preferences are being expressed in the policy-making process, instead of assuming that policies express only the preference or the agenda of the president. In sum, the results from our study on how powerful the president is vis-à-vis cabinet members lead us to ask several new questions and hypotheses worthy of further empirical investigation, such as: How powerful are the ministers in presidential systems? How can cabinet veto players affect ministers reshuffle and cabinet survival? How does the distribution of authority between the chief executive and cabinet members affect the content of the executive policy agenda? Victor Araújo is a PhD candidate in the Department of Political Science at the University of São Paulo, Brazil. Thiago Silva is a PhD candidate in the Department of Political Science at Texas A&M University, United States. Marcelo Vieira is a Professor in the Department of Social Sciences at the Federal University of Espírito Santo, Brazil. This entry was posted in Presidentialism and tagged presidentialism on October 25, 2016 by Robert Elgie.